Discussion in 'Second Trimester' started by emilia, Aug 13, 2005. Looks like our baby is going to be a "thinker" - didn't find out if boy or girl! Keeping that a surprise until the final PUSH!!!!! 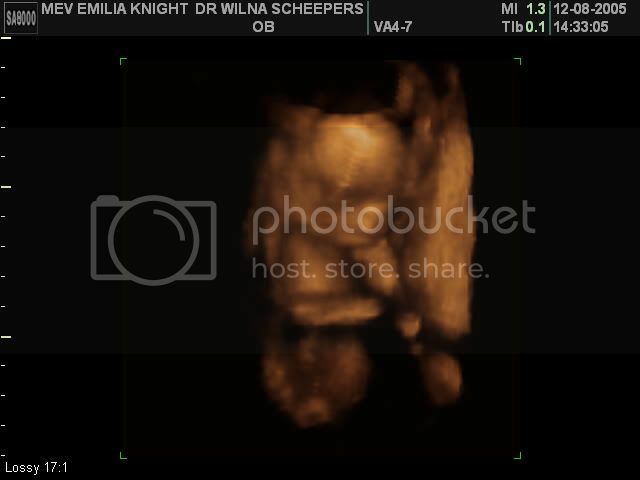 Oh Emilia the 3D scans are amazing aren't they? Fantastic picture! - Thanks for sharing!